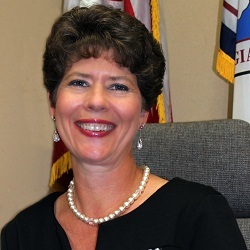 Leigh Anne Knight is the City Manager of the City of Covington, GA. She has held this position for right at six years after having served as the city's Finance Director for the previous four years. Ms. Knight, a lifelong Covington resident, received a BBA from North Georgia before eventually becoming a Certified Public Accountant. There's been quite a bit of "talk around the campfire," as it were, regarding Ms. Knight, some current events pertaining to her & with regards to her role with the city. And, let's all be honest with ourselves, folks like to gripe & complain, especially when it comes to politics & government - we all know it's true - but there does seem to be a disconnect between the city, and some its officers & employees, with many in our community. Ms. Knight appears to have become a lightning rod for many as of late. So keeping in mind that we are looking for that REAL story, let's delve in. Amendment to Section 16.12.040 is to allow the City Manager to initiate a text amendment. Prior to this amendment only the city council had the authority to initiate a text amendment. This allows staff to begin researching and developing a recommendation as to what is best for city, legal review, advertising the proposed amendment, putting the item on the next available planning commission and city council agendas for public hearing. The purpose and thought of including the city manager as someone that may initiate an amendment is to stream line the process. Prior to this amendment when staff saw a discrepancy, error or need for an update within Chapter 16 we would have to wait for a council work session and meeting for them to initiate the creation of a text amendment. Again, after initiated staff would begin researching, legal review, advertising and public hearing process. Amendment to Chapter 16 follow the same public hearing and notice requirements of Section 16.12.070 which reflects OCGA Section 36-66-4. At least for a while, apparently at least a few folks misunderstood this as to mean that the City Manger had the unilateral ability to make changes to the code. This is simply not the case. The approval of any changes to the code must still be voted on by the governing body, the Covington Council. This, according to Knight, was a "staff recommendation." Check their Facebook page every morning to see their daily Lunch Special! Another major item of discussion of late has been the recent changes made to Ms. Knight's employment contract with this city, particularly with regards to a severance package that awards her approx $40,000 if she is terminated without cause & the ability for Knight to maintain access to the city's health benefits up to the age of 65 even if she is no longer in the employ of the city (Knight would have to pay for it, however). Last month the Council voted unanimously to make this change. With that settled, this writer still - even after reaching out to multiple elected officials & city staff members, as well as Leigh Anne Knight (who graciously gave me several minutes of her time for an interview) - doesn't feel like he's necessarily gotten the "Real Story." While working on this piece for several weeks now, it almost felt as if I was getting talking points from some. Recurring phrases like, "Trends in the market" & others kept appearing. I still haven't gotten a straight answer as to who was the driving force behind making this change. A staff recommendation? Not quite really. Was it Leigh Anne's idea? "No, not at all," was the response from someone with the city. According to my discussion with Ms. Knight, it was a "combination of discussions with the Mayor & various staff members." More than anything, I think a lot of the concern from some in the community is due to the fact that the City Manager is, by far, the highest paid employee with the city, so this severance package & ability to retain the city's group insurance seems...maybe a bit excessive. But hey, this is government we're talking about, right? Regardless, I don't think there's some grand conspiracy or anything, and I honestly don't believe the City Manager is working a power grab or anything. As is often the case, there are two sides to every story & the truth is somewhere in the middle. In terms of the bigger picture, as I've said for many years, I think we - society - all need to start having serious discussions as to the level, expense & scope of all levels of government. It's simply not sustainable, and now is the time to act, not when the wheels start coming off. That's the ole $.02.